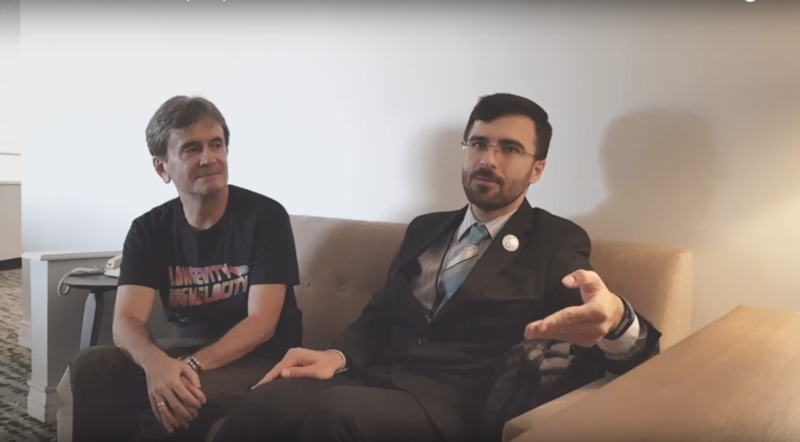 Andrés Grases, the publisher of the Transhuman Plus website (http://transhumanplus.com/) interviews U.S. Transhumanist Party Chairman Gennady Stolyarov II at RAAD Fest 2018 in San Diego, CA, on September 23, 2018. During the course of this conversation, both the contemporary state of transhumanist politics and future directions are covered – along with the challenges to reforming the educational system, the need to create open access to academic works, the manner in which the transition toward the next era of technologies will occur, the meaning of transhumanism and its applications in the proximate future – including promising advances that we can expect to see during the next several years. Become a member of the U.S. Transhumanist Party for free, no matter where you reside. Apply online here in less than a minute. Gennady Stolyarov II, Chairman of the U.S. Transhumanist Party, discusses the key strengths and weaknesses of libertarianism, socialism, conservatism, and left-liberalism, the common failings of these and all other conventional ideologies, and why transhumanism offers a principled, integrated, dynamic approach for a new era of history, which can overcome all of these failings. This presentation was delivered virtually by Mr. Stolyarov on September 13, 2018, to the Vanguard Scientific Instruments in Management 2018 (VSIM:18) conference in Ravda, Bulgaria. 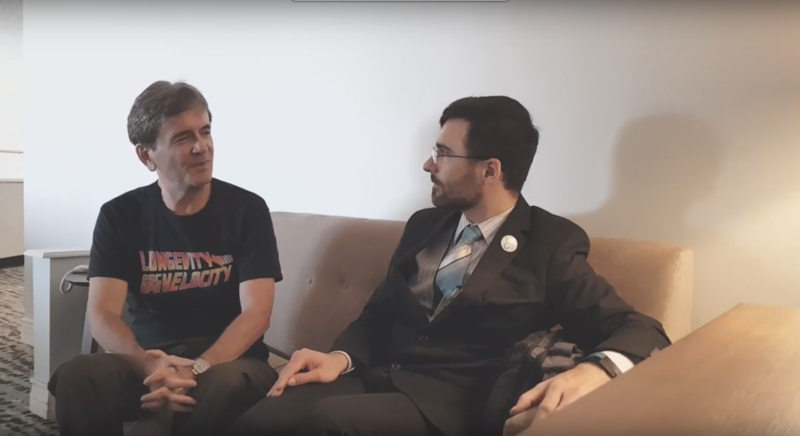 Afterward, a discussion ensured, in which Professor Angel Marchev, Sr., the conference organizer and the U.S. Transhumanist Party’s Ambassador to Bulgaria, offered his views on the dangers of socialism and the promise of transhumanism, followed by a brief question-and-answer period. Visit the website of the U.S. Transhumanist Party here. Download and view the slides of Mr. Stolyarov’s presentation (with hyperlinks) here. Become a member of the U.S. Transhumanist Party for free, no matter where you reside. Fill out our Membership Application Form here. Become a Foreign Ambassador for the U.S. Transhumanist Party. Apply here. 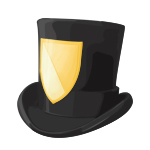 On August 31, 2018, The Rational Argumentator completed its sixteenth year of publication. TRA is older than Facebook, YouTube, Twitter, and Reddit; it has outlasted Yahoo! Geocities, Associated Content, Helium, and most smaller online publications in philosophy, politics, and current events. Furthermore, the age of TRA now exceeds half of my lifetime to date. During this time, while the Internet and the external world shifted dramatically many times over, The Rational Argumentator strived to remain a bulwark of consistency – accepting growth in terms of improvement of infrastructure and accumulation of content, but not the tumultuous sweeping away of the old to ostensibly make room for the new. We do not look favorably upon tumultuous upheaval; the future may look radically different from the past and present, but ideally should be built in continuity with both, and with preservation of any beneficial aspects that can possibly be preserved. The Rational Argumentator has experienced unprecedented visitation during its sixteenth year, receiving 1,501,473 total page views as compared to 1,087,149 total page views during its fifteenth year and 1,430,226 during its twelfth year, which had the highest visitation totals until now. Cumulative lifetime TRA visitation has reached 12,481,258 views. Even as TRA’s publication rate has slowed to 61 features during its sixteenth year – due to various time commitments, such as the work of the United States Transhumanist Party (which published 147 features on its website during the same timeframe) – the content of this magazine has drawn increasing interest. Readers, viewers, and listeners are gravitating toward both old and new features, as TRA generally aims to publish works of timeless relevance. The vaster our archive of content, the greater variety of works and perspectives it spans, the more issues it engages with and reflects upon – the more robust and diverse our audience becomes; the more insulated we become against the vicissitudes of the times and the fickle fluctuations of public sentiment and social-media fads. None of the above is intended to deny or minimize the challenges faced by those seeking to articulate rational, nuanced, and sophisticated ideas on the contemporary Internet. Highly concerning changes to the consumption and availability of information have occurred over the course of this decade, including the following trends. While social media have been beneficial in terms of rendering personal communication at a distance more viable, the fragmentation of social media and the movement away from the broader “open Internet” have seemingly accelerated. Instead of directly navigating and returning to websites of interest, most people now access content almost exclusively through social-media feeds. Even popular and appealing content may often become constrained within the walls of a particular social network or sub-group thereof, simply due to the “black-box” algorithms of that social network, which influence without explanation who sees what and when, and which may not be reflective of what those individuals would have preferred to see. The constantly changing nature of these algorithms renders it difficult for content creators to maintain steady connections with their audiences. If one adds to the mix the increasing and highly troubling tendency of social networks to actively police the content their members see, we may be returning to a situation where most people find their content inexplicably curated by “gatekeepers” who, in the name of objectivity and often with unconscious biases in play, often end up advancing ulterior agendas not in the users’ interests. While the democratization of access to knowledge and information on the Internet has undoubtedly had numerous beneficial effects, we are also all faced with the problem of “information overload” and the need to prioritize essential bits information within an immense sea which we observe daily, hourly, and by the minute. The major drawback of this situation – in which everyone sees everything in a single feed, often curated by the aforementioned inexplicable algorithms – is the difficulty of even locating information that is more than a day old, as it typically becomes buried far down within the social-media feed. Potential counters exist to this tendency – namely, through the existence of old-fashioned, static websites which publish content that does not adjust and that is fixed to a particular URL, which could be bookmarked and visited time and again. But what proportion of the population has learned this technique of bookmarking and revisitation of older content – instead of simply focusing on the social-media feed of the moment? It is imperative to resist the short-termist tendencies that the design of contemporary social media seems to encourage, as indulging these tendencies has had deleterious impacts on attention spans in an entire epoch of human culture. Undeniably, much interesting and creative content has proliferated on the Internet, with opportunities for both deliberate and serendipitous learning, discovery, and intellectual enrichment. Unfortunately, the emergence of such content has coincided with deleterious shifts in cultural norms away from the expectation of concerted, sequential focus (the only way that human minds can actually achieve at a high level) and toward incessant multi-tasking and the expectation of instantaneous response to any external stimulus, human or automated. The practice of dedicating a block of time to read an article, watch a video, or listen to an audio recording – once a commonplace behavior – has come to be a luxury for those who can wrest segments of time and space away from the whirlwind of external stimuli and impositions within which humans (irrespective of material resources or social position) are increasingly expected to spin. It is fine to engage with others and venture into digital common spaces occasionally or even frequently, but in order for such interactions to be productive, one has to have meaningful content to offer; the creation of such content necessarily requires time away from the commons and a reclamation of the concept of private, solitary focus to read, contemplate, apply, and create. In an environment where the immediate, recent, and short-term-oriented content tends to attract the most attention, this amplifies the impulsive, range-of-the-moment, reactive emotional tendencies of individuals, rather than the thoughtful, long-term-oriented, constructive, rational tendencies. Accordingly, political and cultural discourse become reduced to bitter one-liners that exacerbate polarization, intentional misunderstanding of others, and toxicity of rhetoric. The social networks where this has been most salient have been those that limit the number of characters per post and prioritize quantity of posts over quality and the instantaneity of a response over its thoughtfulness. The infrastructures whose design presupposes that everyone’s expressions are of equal value have produced a reduction of discourse to the lowest common denominator, which is, indeed, quite low. Even major news outlets, where some quality selection is still practiced by the editors, have found that user comments often degenerate into a toxic morass. This is not intended to deny the value of user comments and interaction, in a properly civil and constructive context; nor is it intended to advocate any manner of censorship. Rather, this observation emphatically underscores the need for a return to long-form, static articles and longer written exchanges more generally as the desirable prevailing form of intellectual discourse. (More technologically intensive parallels to this long-form discourse would include long-form audio podcasts or video discussion panels where there is a single stream of conversation or narrative instead of a flurry of competing distractions.) Yes, this form of discourse takes more time and skill. Yes, this means that people have to form complex, coherent thoughts and express them in coherent, grammatically correct sentences. Yes, this means that fewer people will have the ability or inclination participate in that form of discourse. And yes, that may well be the point – because less of the toxicity will make its way completely through the structures which define long-form discourse – and because anyone who can competently learn the norms of long-form discourse, as they have existed throughout the centuries, will remain welcome to take part. Those who are not able or willing to participate can still benefit by spectating and, in the process, learning and developing their own skills. The Internet was intended, by its early adopters and adherents of open Internet culture – including myself – to catalyze a new Age of Enlightenment through the free availability of information that would break down old prejudices and enable massively expanded awareness of reality and possibilities for improvement. Such a possibility remains, but humans thus far have fallen massively short of realizing it – because the will must be present to utilize constructively the abundance of available resources. Cultivating this will is no easy task; The Rational Argumentator has been pursuing it for sixteen years and will continue to do so. The effects are often subtle, indirect, long-term – more akin to the gradual drift of continents than the upward ascent of a rocket. And yet progress in technology, science, and medicine continues to occur. New art continues to be created; new treatises continue to be written. Some people do learn, and some people’s thinking does improve. There is no alternative except to continue to act in pursuit of a brighter future, and in the hope that others will pursue it as well – that, cumulatively, our efforts will be sufficient to avert the direst crises, make life incrementally safer, healthier, longer, and more comfortable, and, as a civilization, persist beyond the recent troubled times. The Rational Argumentator is a bulwark against the chaos – hopefully one among many – and hopefully many are at work constructing more bulwarks. Within the bulwarks, great creations may have room to develop and flourish – waiting for the right time, once the chaos subsides or is pacified by Reason, to emerge and beautify the world. In the meantime, enjoy all that can be found within our small bulwark, and visit it frequently to help it expand. This essay may be freely reproduced using the Creative Commons Attribution Share-Alike International 4.0 License, which requires that credit be given to the author, G. Stolyarov II. Find out about Mr. Stolyarov here.